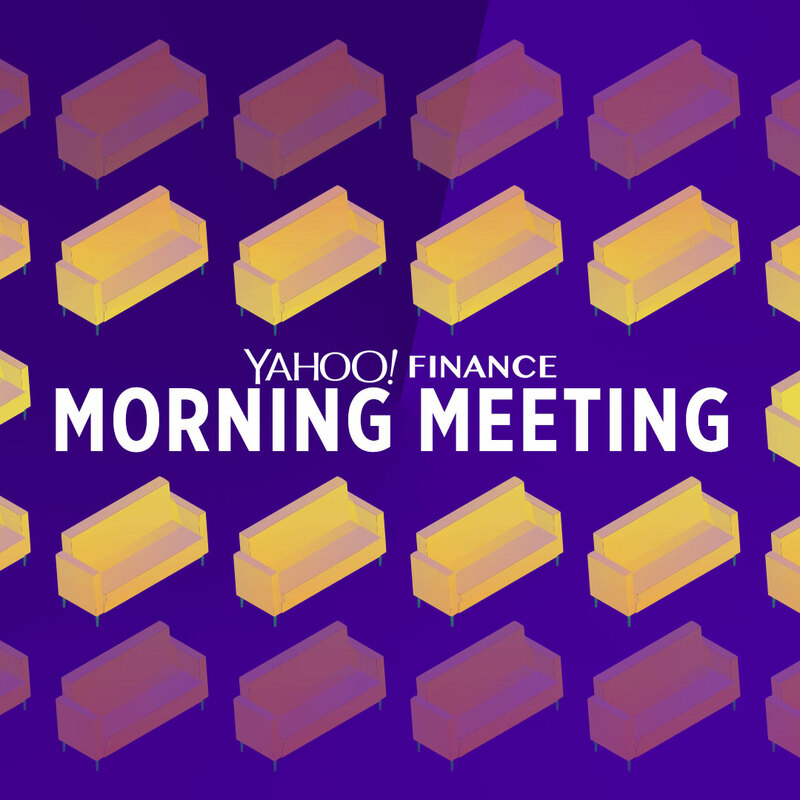 Yahoo Finance’s laid-back morning chat show, live every day at 10:00am ET on the Yahoo Finance homepage and Facebook page. A Frontier Airline passenger revealed that after receiving his drink, a flight attendant handed him a tablet that suggested leaving gratuities that ranged from 15 to 25 percent. Is this acceptable? Yahoo Finance’s Dan Roberts, Sibile Marcellus, and Zack Guzman debate and discuss. Starting on Monday, January 7th, Yahoo Finance will expand our live show lineup to 8 hours of live programming. Yahoo Finance’s Senior Executive Producer, Andrew Hoffman previews the new schedule. The House’s legislation to end the government shutdown didn’t include money for Trump’s wall, signaling a presidential veto from Trump. Yahoo Finance’s Dan Roberts, Rick Newman, Sibile Marcellus, and Zack Guzman discuss. Yahoo Finance’s Brian Sozzi is with Mindy Grossman, CEO of WW Inc., at the NASDAQ to discuss the company’s success and how its moving into the new year. The NFL long resisted having anything to do with gambling, but has now struck a three-year marketing deal with Caesars, its first ever casino sponsor. Yahoo Finance's Dan Roberts, Sibile Marcellus, and Zack Guzman discuss. In a letter to investors, Apple CEO, Tim Cook, blamed China's slowdown in the economy, and the U.S.-China trade war for Apple's plunge. Yahoo Finance's Dan Roberts, Krystal Hu, Melody Hahm, and Myles Udland break down the details. As we continue into day 13 of the partial government shutdown, a new congress will be sworn in with Democrats taking a majority in the house. Yahoo Finance's Dan Roberts, Rick Newman, Melody Hahm, and Myles Udland discuss what the future could look like in the White House. College football championship playoff games are getting cheaper, with tickets for Monday's matchup between the Alabama Crimson Tide and Clemson Tigers at the lowest price the championship has seen since 2015. Yahoo Finance's Dan Roberts, Zack Guzman, Melody Hahm, and Myles Udland discuss. The weight loss industry is trying to rebrand itself as the “wellness” industry, catering to those who set “self improvement” new year’s resolutions for themselves. Yahoo Finance’s Dan Roberts, Sibile Marcellus, and Heidi Chung discuss how the industry benefits from failed resolutions. Payscale is out with its new report of the hottest jobs for this year, and tech jobs are taking the lead. Yahoo Finance’s Dan Roberts, Sibile Marcellus, Heidi Chung, and Adriana Belmonte review the list. Facebook’s COO, Sheryl Sandberg, came out with a statement this weekend addressing the social media giant’s challenging 2018 and outlining some resolutions for the new year. Yahoo Finance’s Myles Udland, Heidi Chung, and Zack Guzman discuss the statement and Sandberg’s standings. 2018 was another year we saw an increase in online trends. Bloomberg put together a report of some of the biggest trends of the year and what they mean to the economy. Yahoo Finance’s Myles Udland, Heidi Chung, and Zack Guzman review the list. Obama has released his annual list of his favorite things, which includes books, movies, and songs of 2018. Yahoo Finance’s Dan Roberts, Julia La Roche, and Myles Udland review the list. The Verizon-Disney standoff is still ongoing, with only five days left to come to an agreement. Who will viewers blame if they’re unable to watch ESPN? Yahoo Finance’s Dan Roberts, Julia La Roche, and Myles Udland break down the details. The deadline to bid for Sears' assets has come. The deadline to buy Sears' assets is Friday, December 28 and the department store is looking for a buyer for 500 stores and the Kenmore appliance brand. Yahoo Finance's Brian Sozzi, Dan Roberts, Julia La Roche, and Myles Udland discuss. Bitcoin fell big in 2018. Yahoo Finance’s Dan Roberts, Myles Udland, and Julia La Roche review the year and try to predict what comes next for cryptocurrency. Royals pitcher Brady Singer used his $4.25 million bonus to thank his parents and pay off their debt. Yahoo Finance’s Zack Guzman, Julia La Roche, and Myles Udland watch the emotional video of his parents opening their present and discuss.